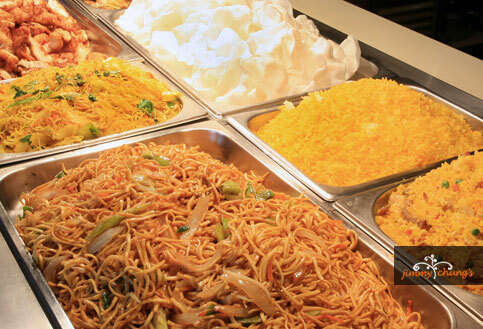 Jimmy Chung’s is a restaurant in Edinburgh that provides affordable buffet dining experience for friends and family to enjoy Asian cuisine in Scotland. 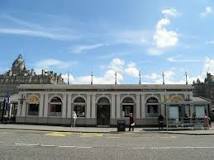 Jimmy Chung’s have Chinese Buffet Restaurants in Edinburgh, Dundee, Stirling, Inverness in Scotland, and Dublin, Ireland. My friend and I met for lunch at the branch on Waverley Bridge in Edinburgh. 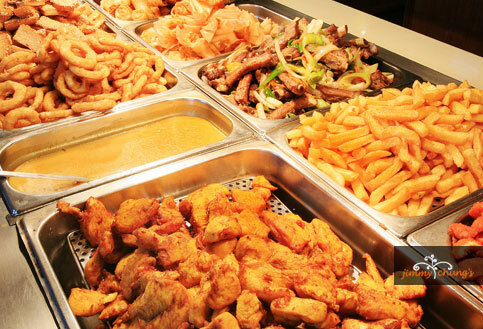 The restaurant offers a buffet meal at a set price for lunch or dinner. Young children are charged a reduced price of £3.00. 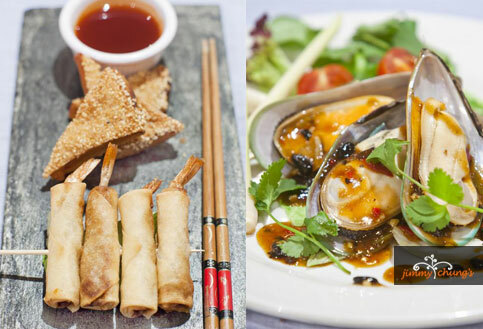 The restaurant claims to pffer an authentic Chinese cuisine experience presented in a buffet style. It is certainly a buffet, but I have visited China on several occasions, and do not consider this authentic Chinese cooking. However, it is very tasty. Upon arrival, we waited for a member of staff to show us to our table. We ordered drinks. (Of course, these are charged in addition to the meal.) My friend and I were then free to help ourselves to the wide variety of buffet food. I am vegetarian and, even for me there were plenty of choices for both starters and main courses. I started with a selection of vegetarian spring rolls and onion rings while my friend chose some chicken wings and chicken spring rolls. For main course I have noodles, bean sprouts and steamed vegetables while my friend had sweet and sour pork with rice as we helped ourselves from the delicious starters and main courses. I admit, as it is a buffet, we did go back for more! I then finished off my meal from Jimmy Chung’s selection of cakes, jellies and icecreams. There was nothing very Chinese about the puddings. friend did not have any room left, but we did both manage a Chinese tea. I was slightly disappointed that this came from teabags. However, we both enjoyed a tasty lunch and the service was courteous and attentive. I will certainly be back to Jimmy Chung’s. The meal was very reasonable as, including drinks, it was less than £15.00 a head.